Every scientist keeps a library of journal articles that are fundamental to their work. Here is a select list of peer-reviewed works that I believe form the foundation of old-growth forest study. I would appreciate additional citation contributions from readers. Nichols, G. (1913). THE VEGETATION OF CONNECTICUT II. Virgin Forests. Torreya, 13(9), 199-215. Mladenoff, D., White, M., Pastor, J., & Crow, T. (1993). Comparing Spatial Pattern in Unaltered Old-Growth and Disturbed Forest Landscapes. Ecological Applications, 3(2), 294-306. Frelich, L. E., & Reich, P. B. (2003). Perspectives on development of definitions and values related to old-growth forests. Environmental Reviews, 11(S1), S9-S22. Spies, T., Hemstrom, M., Youngblood, A., & Hummel, S. (2006). Conserving Old-Growth Forest Diversity in Disturbance-Prone Landscapes. Conservation Biology, 20(2), 351-362. Ducey, M.J.; Gunn, J.S. 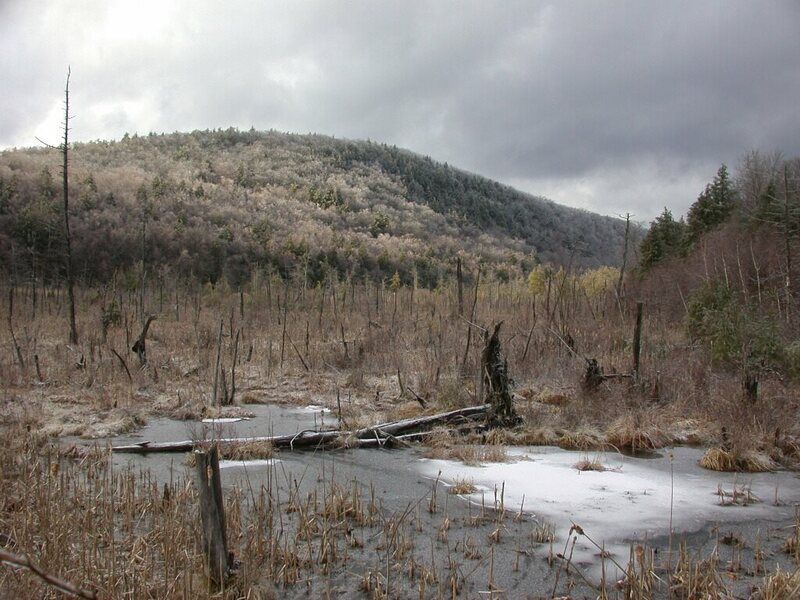 ; Whitman, A.A. Late-Successional and Old-Growth Forests in the Northeastern United States: Structure, Dynamics, and Prospects for Restoration. Forests 2013, 4, 1055-1086. Spies, T. and Franklin, J. (1996). The Diversity and Maintenance of Old Growth Forests. In Szaro, R.C. and D.W. Johnston eds. 1996. Biodiversity in Managed LandscapesTheory and. Practice. Oxford University Press. New York. 778 pp. Mark A. Drummond, Thomas R. Loveland; Land-use Pressure and a Transition to Forest-cover Loss in the Eastern United States. BioScience 2010; 60 (4): 286-298. Weyenberg S. A., Frelich L. E., Reich P. B. (2004). Logging versus fire: how does disturbance type influence the abundance of Pinus strobus regeneration?. Silva Fennica vol. 38 no. 2 article id 427. Holloway, G. L. and Smith, W. P. (2011), A meta-analysis of forest age and structure effects on northern flying squirrel densities. The Journal of Wildlife Management, 75: 668–674. Franklin, J.F., D. Lindenmeyer, J.A. MacMahon, A. McKee, J. Magnuson, D.A. Perry, R. Waide, and D. Foster. 2000. Threads of continuity: disturbance, recovery, and the theory of biological legacies. Conservation Biology in Practice 1:9-16.